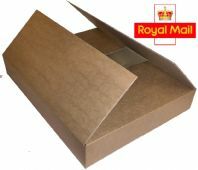 Our range of postage boxes includes a number of boxes designed specially for the Royal Mail parcel rates. 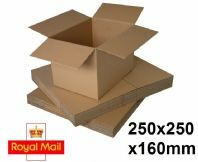 From larger boxes ideal for the Royal Mail medium parcel rate, to high quality die-cut mug boxes suitable for the small parcel rate, we will have a box to suit your needs. If you can't find the size that you require, get in touch and we'll see what we can do. 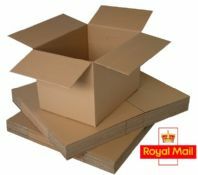 All of our postal boxes come flat-packed ready to be assembled by you, and are made and shipped from our York factory. They are all manufactured using recycled materials.